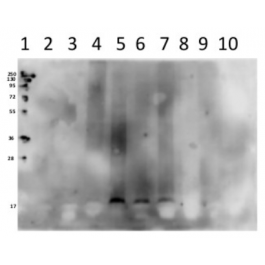 Search for all "V-ATPase subunit c (16 kDa)"
Rabbit anti Arabidopsis V-ATPase subunit c (16 kDa). Subunit c is one of most hydrophobic proteins (can be dissolved in organic solvent such as a mixture of chloroform/methanol solution). It is prone to aggregation even in the presence of SDS. 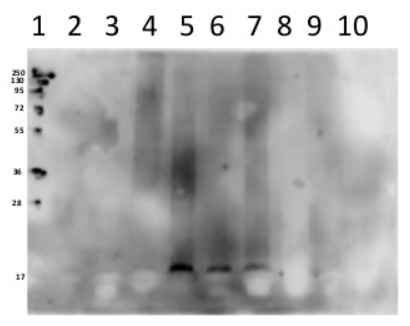 Therefore, before loading on the gel membrane fractions should be incubated in buffer containing 2 % SDS at 60° or 70°C for 10 min or at 25°C for 30 min.